In June 2016, the Club issued a bulletin advising Members to utilise the Kingfisher Information Service offered by Seafish. Kingfisher’s Offshore Renewable & Cable Awareness project has been designed to assist fishermen operating in the North Sea and around the UK by providing free, accurate and up-to-date information relating to subsea cables and offshore wind farms. Their service includes an interactive Google map, free email update service and bi weekly bulletins which aim to keep the fishing industry up to date with information relating to the latest hazards, planned developments, new structures being installed and zones created. 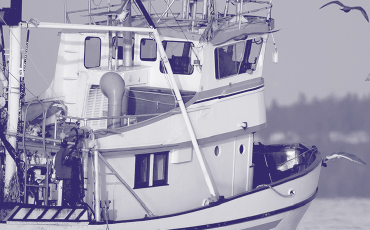 In recent months, the Club has been notified of a number of incidents where it has been alleged that Members’ vessels have crossed these areas whilst engaged in fishing, despite notices being issued that prohibits movement in these areas during certain stated times. In some cases actual damage is alleged, which due to the function of these subsea installations, may result in the receipt of potentially substantial claims for damages. The Club would like to remind Members of the Kingfisher service and of the pertinent information it provides. Utilising this data will assist in protecting operators against the possibility of such incidents and associated claims occurring.